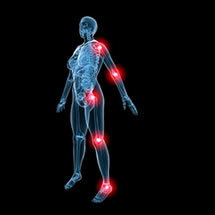 A Transcutaneous Electrical Nerve Stimulator, or TENS Unit, is primarily used for managing chronic pain. It is a pocket size, portable, battery-operated device that sends electrical impulses to certain parts of the body to block pain signals. The electrical currents produced are mild, but can prevent pain messages from being transmitted to the brain and raises the level of endorphins (natural pain killers produced by the brain). TENS can be worn all day or on an as needed basis. 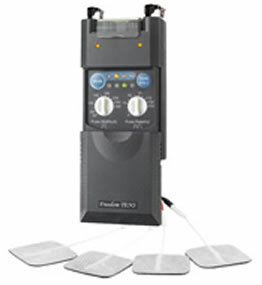 Transcutaneous Electrical Nerve Stimulation (TENS Units) is a highly effective treatment for chronic and acute pain. It is used extensively and recommended by sports coaches, physiotherapy, pain clinics, doctors and other medical practitioners. A TENS unit will relieve pain, you should notice immediate results, and you can leave on for hours a day and for many the relief is dramatic. The FREEDOM TENS is a dual channel, tens unit featuring four treatment modes; Normal, Burst, Modulated Rate and Modulated Width. Easy to use, the FREEDOM TENS has push button mode and timer selectors. Large control knobs make adjustments to pulse width and rates easier for those with dexterity challenges. A protective cap over the intensity dials prevents accidental changes in amplitude.